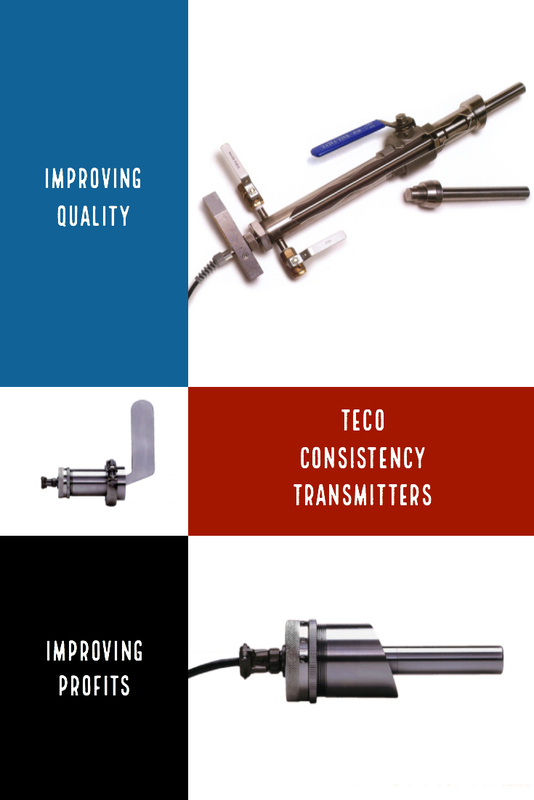 TECO Consistency Transmitters are shipped with built-in flow-rate compensation. 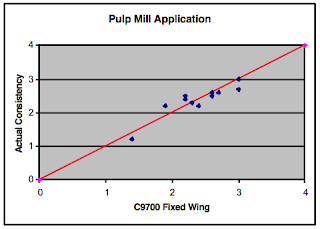 This is important because blade style consistency sensors are sensitive to shifts in production flow-rate. This means that their output has a component which is strictly a function of flow-rate. If this isn’t compensated for, changes in flow-rate will look like changes in consistency. TECO Consistency Transmitters include a flow-rate input so that this flow-rate function which automatically gets applied to the consistency signal. This feature is unique to TECO. The key feature of our C3000 and C5000 probe style sensors is that they aren't sensitive to flow-rate changes to begin with. The C3000 and C5000 are insensitive to shifts in production flow-rate below 3.0 fps. This means that as long as the flow-rate stays below 3.0 fps, shifts in flow-rate will not produce any negligible affect on the probe output signal. 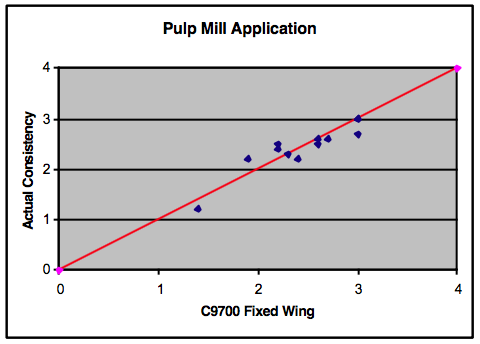 For flow-rates above 3.0 fps when using C3/5000 series sensors, it is recommended that active compensation be used. The C5000 sensor is retractable, allowing it to be removed from an active process. This feature is particularly useful when installed in hostile measurement environments, such as blow lines and bleach plant operations. The retractable feature allows for quick change-out when it comes time for replacement, allowing the restoration of a critical measurement in minutes, instead of waiting weeks or months for a scheduled shutdown. This is a strong competitive advantage for C5000 users. All TECO sensors are hot-swappable, saving the time and effort of a recalibration procedure when a sensor is replaced. All that is required is use the built-in normalization procedure and "zero" the replacement sensor. Your new sensor is ready to use. TECO consistency transmitters can be upgraded to act as a consistency controller, or function as multi-input controller, so that other process parameters can be adjusted for in the consistency control loop. TECO consistency transmitters can also be set up as a dilution controller. 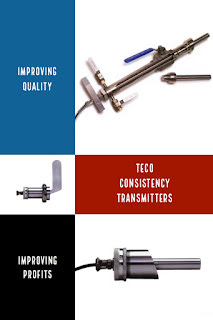 TECO consistency transmitters are very competitively priced.